Between the tameable dinosaurs, huntable yetis, and insanely wide array of weaponry, the game offers a distinctly different take on the survival genre, and all that can be experienced on the Nintendo Switch come November 30th. As you can see in the game's launch trailer, a largely intact version of ARK will soon be playable anywhere you find yourself with a Switch in hand. I say largely intact because, presumably, some of the game's beefier features probably didn't make the cut to the toned-down portable version. That said, the game's developer, Studio Wildcard, has assured fans that the core systems and much of the late-game content will all be available. 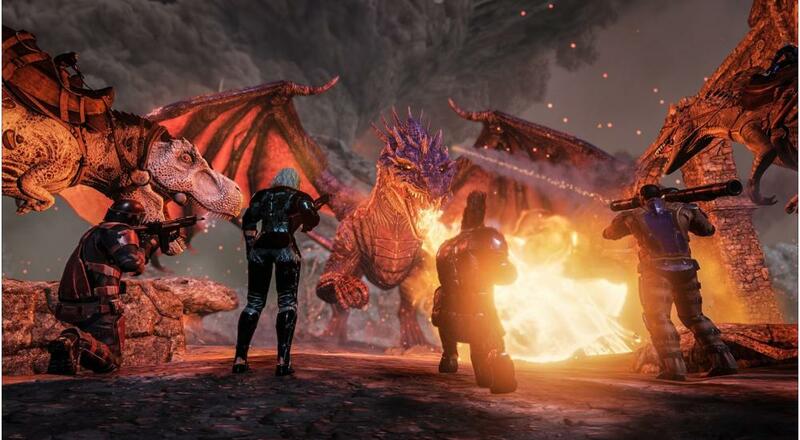 ARK: Survival Evolved features online co-op on PC, as well as local co-op on the Xbox One and PlayStation 4 versions. It's unclear how exactly cooperative play will work on the Switch, but the game will definitely have an online co-op component to pair with its solo mode.